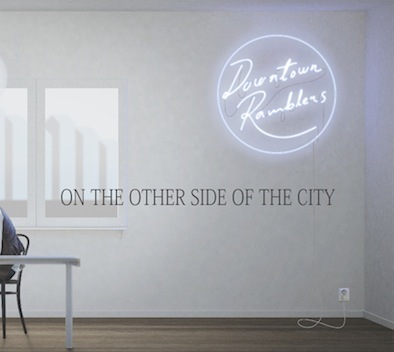 In the last two days, two prominent European bluegrass bands have received prominent coverage by American writers on Bluegrass Today. 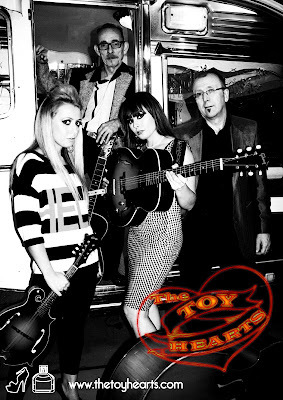 On 13 Dec. John Lawless published a feature on the Toy Hearts (GB), based on a major interview with guitarist Sophia Johnson, and focusing on how the band have recently developed their longtime affection for western swing, so that it now forms the second set in their live shows. Their fourth album, now in preparation, includes percussion and pedal steel guitar, with Sophia playing her 1958 Gibson ES 125 archtop. The Toy Hearts will be touring in Germany and Switzerland from 27 Jan. to 12 Feb. 2012. Read more about their tour plans for 2012 here.